Since 1995 UTV International has been manufacturing Achiever off road tracked vehicles, Hercules digger derricks and Pioneer snow vehicles for the power, utility, telecom, forestry, mining and ski industries. Efficient and cost effective machines available today ! UTV vehicles are designed for power, traction and stability. Simplicity & ease of use features are built in and a wide range of options are available to suit every need. Modern track and suspension design with a low center of gravity combined with a very low ground pressure are the cornerstone of our design philosophy. Continuous design & engineering advancements have resulted in our machines being the most versatile, efficient and cost effective machines available today. Hercules digger derricks can be mounted on single axle truck chassis ranging from 19,000 GVWR to tandem axle 50,000 GVWR truck chassis. Sheave heights up to 52 feet are available. 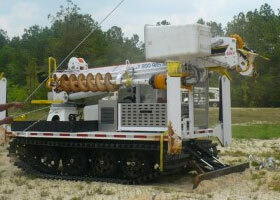 Maximum lift capacities range from 5,000 to 30,000 lbs. 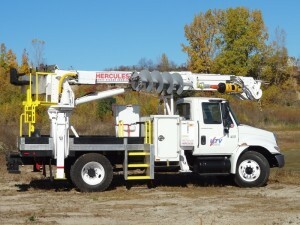 Hercules digger derricks are used by Power Companies, Electric Coops, and Private Electrical Contractors as well as for Sign Post work. 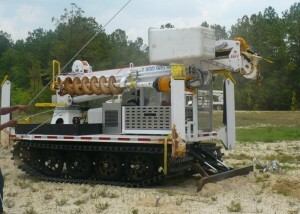 Achiever rubber tracked digger derricks allow unloading on pavement without damage to road surface. Achiever low impact, high profile rubber tracks are especially suitable for work in all types of environmentally sensitive areas. High power to weight ratio and excellent traction provide exceptional performance in swamp, snow or mud settings and on slopes up to 40 degrees. 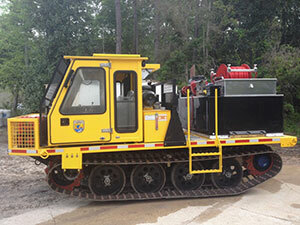 UTV vehicles are built to work in the most difficult terrain and weather conditions. 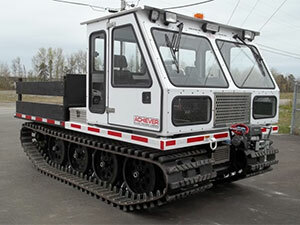 Achiever tracked utility vehicles are available with payloads from the 1/2 ton Achiever RT-01 to the 15 ton Achiever RT-15. . Wind operations, mining & pipeline operations use low ground pressure vehicles like this to service difficult to reach areas. 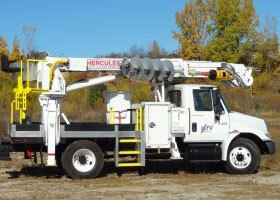 A wide range of options make these vehicles ideal for mounting digger derrick booms, aerial and material handling booms, drill rigs, pressure diggers and spray tanks. 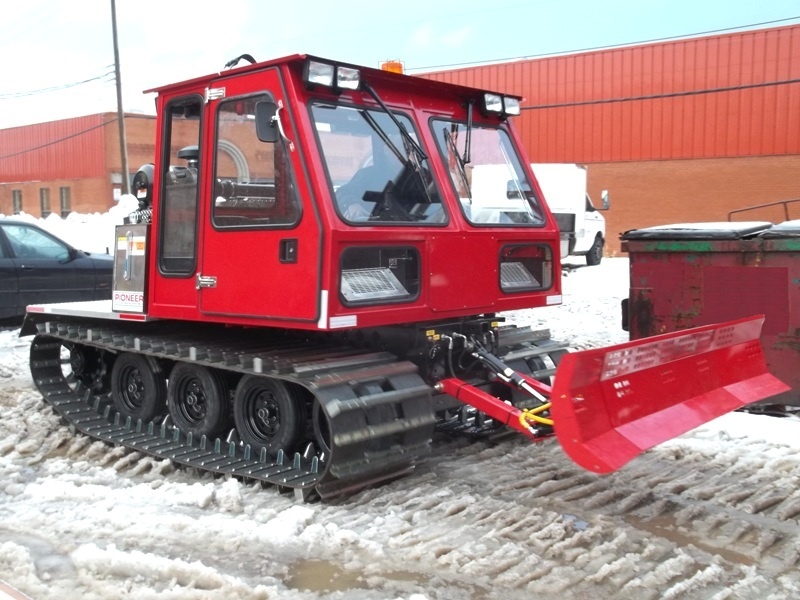 The Pioneer line of snow vehicles are designed for transport, construction, snow plowing, communications work or snow grooming. Our vehicles are built for power, traction and stability. 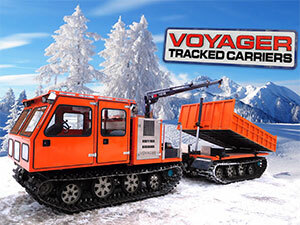 The Pioneer's very low ground pressure and aggressive winter tracks give exceptional traction and flotation in deep snow. 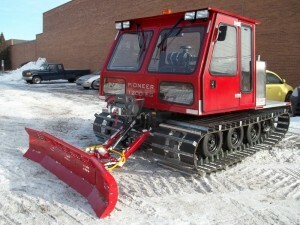 The Pioneer can be configured as a personnel carriers snow groomer, 8 man cab transport or rescue vehicle.